The hustle and bustle of the year is right on top of us. Let the stress begin. This is the time of year I feel like our family is running in a thousand different directions trying to get it all done. Each year I tell myself "next year I am going to get it all done early" and it never happens. Its also a time when I feel like if we haven't planned well, we tend to make bad choices when it comes to "what's for dinner?" 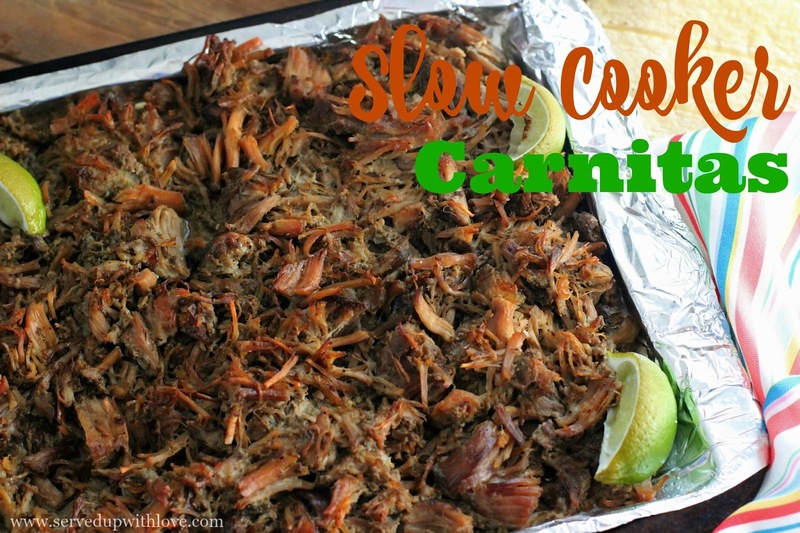 One way to stay on top of it is to pull out my slow cooker. So I am always on the look out for something new to throw in there. On one of our errand runs to Food Lion I came across Smithfield® Marinated Pork and took a look at what they had to offer. 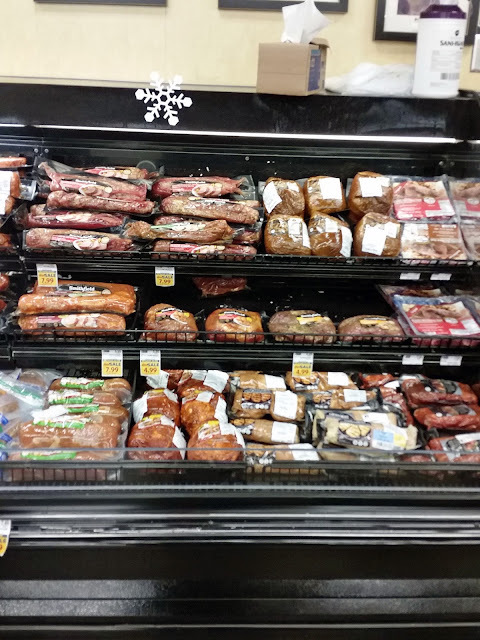 Available in Loin Filets, Tenderloins, and Roasts across a variety of flavors. Immediately my mind went to all kinds of meals I could make so I knew I had to grab a few. Plus, the prices were super reasonable. 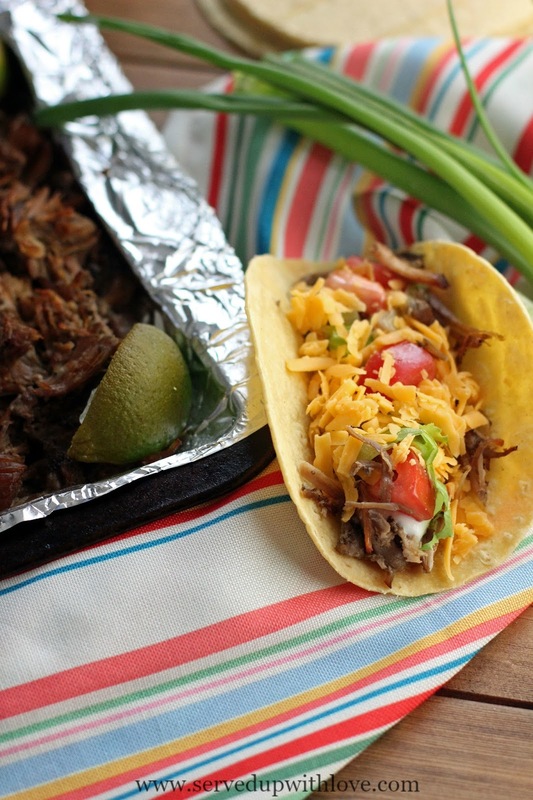 Some of our favorite recipes are ones that center around Mexican cuisine so I knew it was time to give these Smithfield Seasoned Carnitas a whirl. I grabbed two of these because I wasn't sure if one would be enough. I was shocked when I opened the package at how much was actually there. I'm used to having to buy a big ol' honking piece of pork to make my BBQ so I was unsure of how much this would make. It comes in big chunks so it is easy to throw them in the crock pot. Because it is slow marinated and perfectly seasoned within the bag it is ready to go whenever you need a quick meal. It is as simple as opening the package, dumping it in the slow cooker, and let it cook away. The aroma while it was cooking was amazing. So while we waited patiently for the Carnitas to be ready I started setting up our fixings bar. I went with what we normally put on our tacos; lettuce, tomato, cheese, sour cream, and salsa. When the slow cooker had done its magic, the pork was so tender it literally just fell apart so it didn't take much to shred. Now you can certainly go ahead and load up your taco shells with the meat mixture but I took it a step further. I lined a large cookie sheet with aluminum foil that was sprayed with cooking spray and loaded up all the shredded pork onto the pan. I ladled a little of the flavorful juices from the slow cooker all over the pork. Then squeezed fresh lime juice all over the meat and placed it under the broiler for 5 minutes. Allowing the pork to get a little crispy. That just brought these Carnitas over the top. These were a huge favorite at our house. Real Flavor, Real Fast in under 30 minutes of prep time makes for one happy moma. 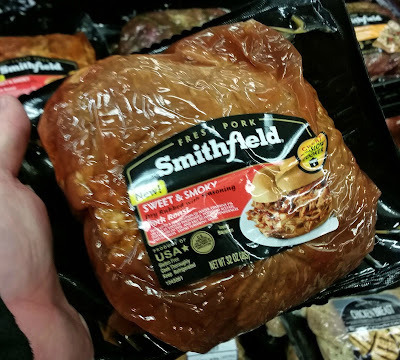 Next on my list is to make some Sweet & Smoky Pork Roast sliders for our next game day. My mouth is watering just thinking about it. Spray your slow cooker with cooking spray. 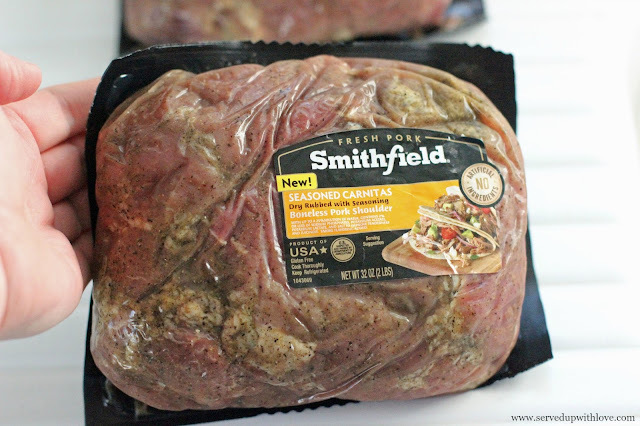 Place the Smithfield Seasoned Carnitas in 4-5 quart slow cooker, add chicken broth, and break up the pork chunks. Cook for 6-8 hours on low or 3-4 hours on high. Shred with a fork once the pork is done. Line a large cookie sheet with aluminum foil sprayed with cooking spray. Add the pork shreds and ladle a little of the cooking liquid all over the pork. Squeeze fresh lime juice on the pork and place the pork under the broiler of your oven for 5 minutes. 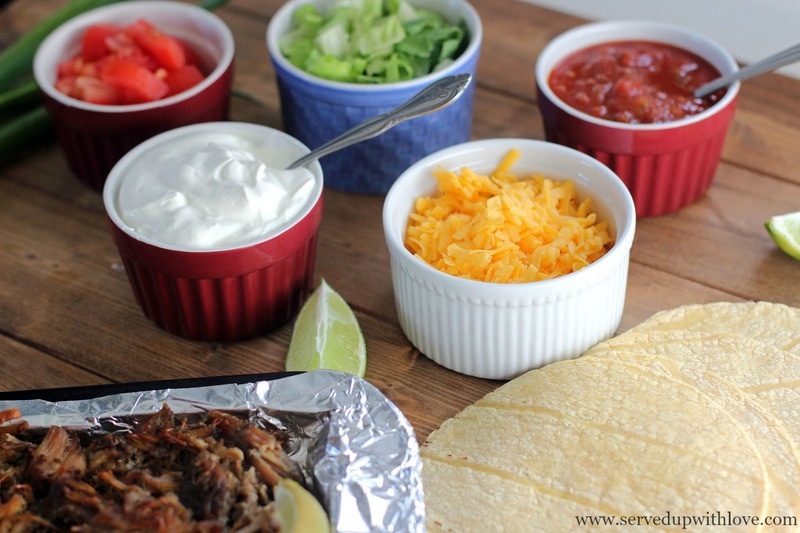 Serve on corn tortillas with your favorite toppings. Delicious food recipe you share with us and i know every item is very tasteful and healthy for our health. So there are more people are like these food so much and i hope after see this item they are more interested in this foods.